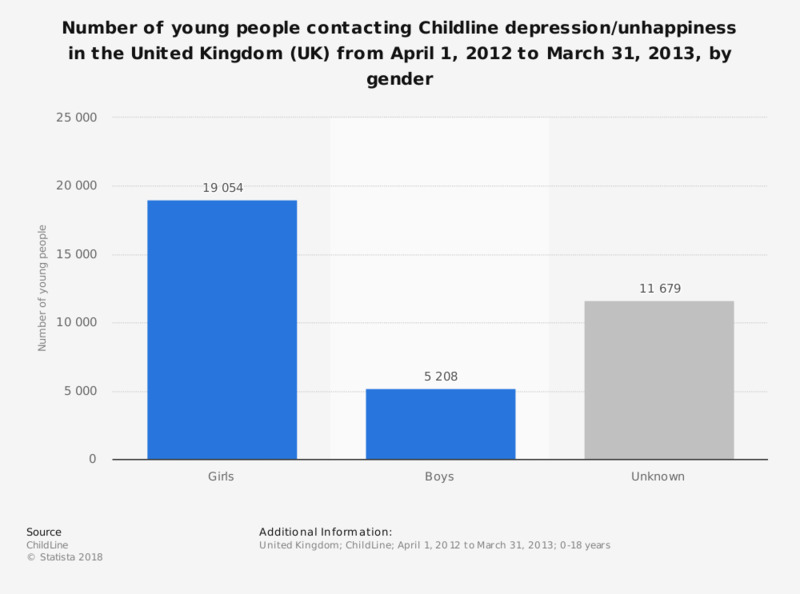 This statistic shows the number of young people contacting Childline about depression/unhappiness in the United Kingdom (UK) from April 1, 2012 to March 31, 2013, by gender. In total, 35,941 young people contacted Childline with the main concern of depression or unhappiness. It is important to note that in 2012/2013, 53 percent of all young people contacting Childline were girls, 17 percent were boys and 30 percent were of unknown gender. These figures refer to young people contacting Childline where the main concern identified was depression or unhappiness. There may have been additional reasons for contacting.